This is unique style contemporary house. The total area of this house is 2400 Square Feet (223 Square Meter) (267 Square Yards). 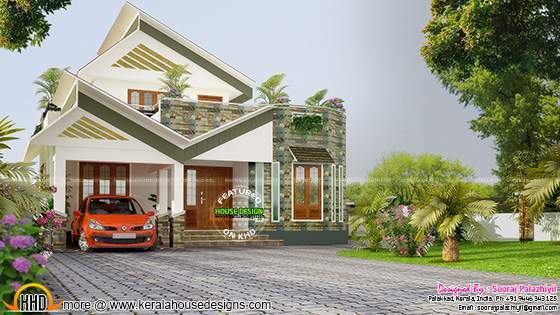 Designed by Sooraj Palazhiyil, Palakkad, Kerala. Total area - 2400 sq.ft.